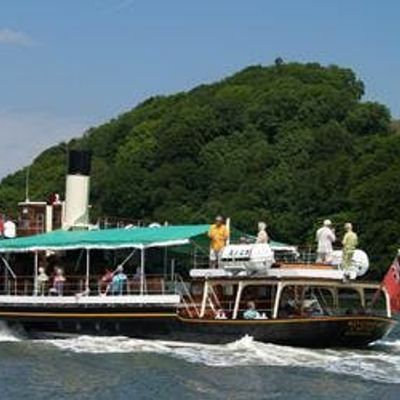 Guided visit led by John Megoran, MHT Trustee and Chair, PS Kingsear Castle Trust to see Paddle Steamer Kingswear Castle on the slipway at the company shipyard on the River Dart. 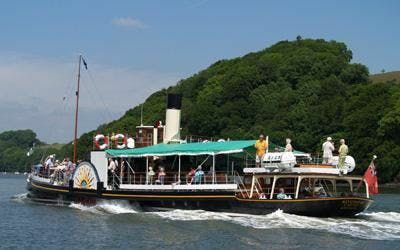 This is a rare opportunity to see the UK's last coal fired paddle steamer at close quarters and with an expert guide. Numbers for this visit are strictly limited so early reservation recommended. The shipyard is some way outside Dartmouth but a lift may be possible. Meet Dartmouth (Town Jetty) Passenger Ferry ticket Office 10.30 am on 12th April – this date is provisional depending on operational requirements at the shipyard. Please note that there is optional access to the vessel itself and this will require use of steps.